The best way to get to know a community is by scheduling a tour. See the facilities, meet the staff and residents, and get a feel first hand what it's like to live at Bradfield Place Assisted Living. 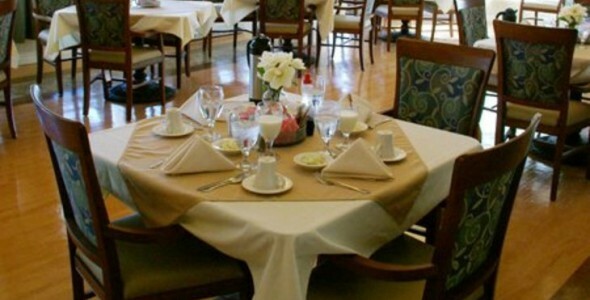 Bradfield Place is an assisted living community nestled in the city of Mesquite, Texas. We pride ourselves in providing a homelike atmosphere where seniors can continue to live their active lifestyles while getting assistance with daily routines. Residents enjoy the company of other seniors via a full scope of activities and amenities. Bradfield Place is just one of the many properties managed by Enlivant. An operator of more than 200 senior living residences, the goal of Enlivant is to enhance seniors' lives by providing them with a homelike setting that encourages independence. Bradfield Place possesses all the comforts and amenities of home. We provide three sumptuous and nutritious meals a day, all prepared by a registered dietitian, and all served in our restaurant-style dining room. From the TV room with library to the courtyard to the tastefully-designed studio and one-bedroom apartments, our residents enjoy comfortable surroundings that give them a wide range of options for entertainment and socialization. Apartments have kitchenettes with microwave ovens, plus connectivity options for phones and cable TV. Assisted living means residents have access to a helping hand with daily chores such as bathing, dressing, meals and medication. For their security, we have on-site staff 24 hours a day, seven days a week, including a registered nurse. Alongside regular maintenance and trash disposal services, we provide weekly housekeeping and laundry services for all our residents. Transportation to medical appointments is also one more way we can assist our residents. Apart from long-term residents, we also offer a Transitional Care Program, which is short-term care for those who've just had a medical procedure or who are recovering from sickness. For senior living within the Dallas/Fort Worth area, Bradfield Place offers every comfort that one might want.